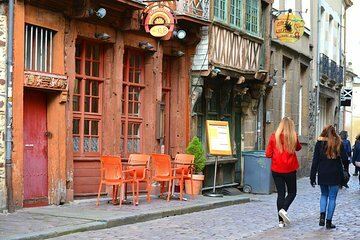 Experience the best of Rennes on this private walking tour. Over the course of 3 hours, visit major monuments like Place Sainte-Anne, government buildings, markets, and the Thabor Gardens. Make your way down cobblestone streets to discover beloved local cafés and restaurants. Your photographer guide will share information about history and culture and take pictures if you wish. We will start our tour in front of the Parlement (Historical Justice center of Brittany), at the Parlement Square. It is located in the very downtown of Rennes. We can meet 5mn right before departure time.